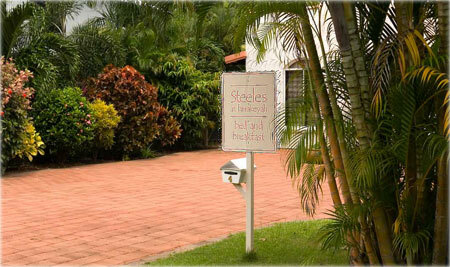 Staying with Steeles – at Darwin City Bed & Breakfast, has unique advantages with quiet enjoyment of the privacy, as well as extra personal attention. A special highlight of being a guest at the Steeles is meeting the hosts, Janette and Roger Steele – true Territorians. Janette Steele has considerable experience in travel and is a former Director of Steele Tourism, a company that marketed Northern Territory tourism through Europe and the USA. As well as Janette’s extensive experience travelling through Europe, the United States and the Middle East, she has travelled to the Top End’s best spots. This has given her the knowledge and experience required to recommend the best trips and tours for you. Roger came to the Territory when Darwin was a bombed out town after the second world war. He has experienced the rebirth of the north. At 13 years of age, Roger was sent outback to the vast cattle stations in the Victoria River country of the west. He worked his way up from ringer, drover, camp cook, head stockman, to station manager. These were the days when Aboriginal stockmen rode the outback pastoral landscape with authority and pride. Two career changes later, and just prior to the destruction of Darwin by Cyclone Tracy, Roger was a Northern Territory member of Parliament. He was appointed the first Minister for Tourism, Parliamentary Speaker and, later, he founded the Gregory National Park, 12,882 square kilometres of outback Australian bush. 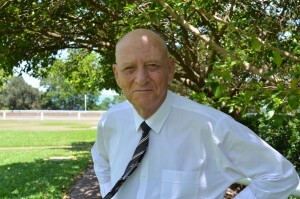 Roger has certainly been a part of the story of the Northern Territory for more than five decades. Welcome to the Territory – one of the world’s best kept secrets, in the most politically stable destination in the world.